It is very unlikely that anyone driving to Sun Valley through Idaho 75 will not notice the Soldier Mountains next to Fairfield with their aesthetic ski lines. The rising crest starting to the east with Peak 1 at 9147 feet, Peak 2 at 9529, Peak 3 at 9666 and finishing at Smokey Dome at feet 10095 feet are spectacular. Views of Soldier Mountains Crest from Peak 1: Peak 2 in the foreground, Peak 3 in the middle, and Smokey Dome in the back. Sunday was remarkable day to be at the summit of a high peak, and we were able see Nevada's Independence Range to the south, the Tetons to the East, as well as the impressive Pioneer range to the northeast. Views from Peak 1 Summit - Soldier Mountain Ski Resort Top Lift is highlighted in the lower center. Temps were -1 Deg C at Peak 1 summit with moderate winds, allowing Steven and I to enjoy the relative warm weather. Steven at Peak 1 Summit. Extensive views to the North from Peak 1 Summit. Steven at Peak 1 Summit with Peak 2 in the background. Chago with Peak 2 north east ridge in the background, where many moderate BC skiing lines are available for the takers. The top 1000 feet of skiing was on a very carveable and soft sastrugi. Sastrugi has got a bad reputation, which is greatly unjustified - I think, since sastrugi is an unequal match to alpine mountainous settings. High quality Sastrugi skiing from a mountain summit is like surfing a reef wave in a warm tropical October afternoon without any winds in what it feels like an oily surface where depth perception fails to distinguish between ocean and horizon - a rare occurrence! Sastrugi transitioning into wind blown POW. Skier = Steven. Transition zone between sastrugi and wind blown pow. Wind Blown snow at the East Glades of Peak 1 - 8700 feet. The Soldier Mountains have a reputation for their fierce winds, but folklore forgot to forge a reputation for the ability of these mountains to ALWAYS provide a stash of good snow, waiting for skiers to harvest their goods. Enjoy the next two video clips; the first one is at the 8400-8000 feet as Steven skis a snow surface transitioning from Sastrugi to wind blown pow, and the second video is of Steven skiing diurnal recrystallized pow between 7800 and 7200 feet of elevation. Enjoying the snow goods available at Soldier Mountains requires an easy driving (2.5 hours) from Boise to Soldier Mountain Ski Resort, getting a very affordable one way up ticket at Soldier Mountain Ski Resort, and the extra physical effort to cover the distance from Soldier Mountain Ski Resort at 7200 feet to the eastern base of Peaks 1 and/or 2 where fun skiing starts at the 8000 feet level. Topo map for SOldier Mountain Ski Resort and Peak 1 and 2 BC Skiing Possibilities. During the last two weeks we ski toured Peak 1 and Peak 2 (January 20th and January 5th) and glided on soft snow that rivaled in quality with many other central Idaho locations. Check the video and pictures snapped last January 5th as we skied Peak's 2 NE ridge fabulous lines. Soldier Mt Peak 2 from Santiago Rodriguez on Vimeo. January 5th Pow Skiing from Peak 2 NE Ridge at 8600 feet. View to the South West from Peak 2 NE Ridge at 8700 feet - Peak 2 in te left and Smokey Dome in the right. Soldier Mountain Ski Resort soon will be making Bridge Creek available for side country skiing for folks that do not have backcountry ski gear. Dedicated ski patrollers have been checking the mostly north facing moderate slopes. Last January 5th we ended the day by joining Soldier Mountain Ski Resort patrollers to enjoy the fruits of many hours of work since last summer to make Bridge Creek side country available to Idaho winter recreationists! Soldier Mountain Ski Patrollers getting ready to drop into Bridge Creek. The snow pack from January 5th and January 20th have not significantly changed. Above 8000 feet we did not find weak layer that reacted to standard compression tests. This Sunday stability tests identified an interface at the 55 cm depth, that consistently reacts with sudden collapse (SC - Q1) with shoulder taps in excess of the standard compression test (35). 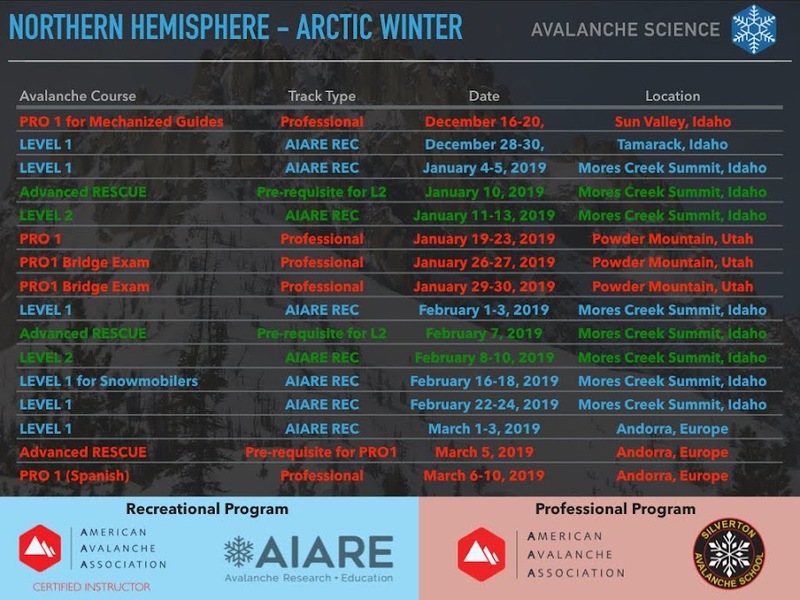 These test results suggest that it is a GREAT idea to keep checking this interface before committing to ski slopes above 35 degrees, to make sure that the snowpack structure will not change such that hard scores become easy. Two weeks earlier (1/5/2013) results were hard but with Q3 results (CTHQ3 @ 60 cm). Below 8000 feet, the snowpack at Soldier Mountain needs a good dosis of respect. During January 5th the snowpack surface layer below 8000 feet of elevation was heavily facetted and was caped by very beautiful surface hoar crystals. BIG surface hoar crystal - no magnification required! Surface Hoar crystals in my hand! During last week snow deposition event, very large surface hoar crystals were buried at elevations below 8000 feet. Winds and snow transport above 8000 feet seem to have destroyed the SH layering since we were unable to find evidence of it. The buried SH crystals below 8000 feet made their presence known repeatedly as we triggered significant whumpfs from SW to NE aspects at the 7000-7200 feet elevation. It was really fun to repeatedly experienced (10+ times) your surroundings drop about one centimeter. For the record, my ski partner disagreed with my FUN adjective, he suggested using the the "o-sh@t" descriptor. At the elevations of concern (7000 feet) we observed a decent number of small natural slides resulting from wind loading. No such evidence was found above 8000 feet for the areas we ski toured. My friends, even when the conditions are not optimum (deep face shots), and we have not seen a refresh on snow, get out and explore new touring areas. With some creativity and ingenuity you can find interesting touring alternatives with decent soft snow conditions waiting for skiers and riders. You can start by visiting Soldier Mountain Ski Resort. By the way, this year Soldier Mountain Ski Resort became a non-profit organization. The new management team is reinventing the skiing experience at this awesome resort. Please sponsor this resort by visiting it. I hope this posting with pics and beta will convince you that this area will provide you with great ski touring and soul fulfilling pow turns.